One of our favorite things is seeing one of our tops installed beautifully on our customer’s cars. And sometimes we get a lucky glimpse of the installation process. 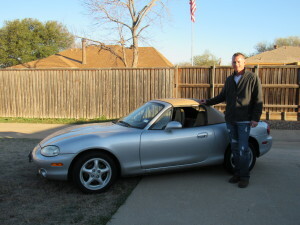 Recently we heard from one of our customers, Jeff Roberts, who purchased an EZ ON top for his wife’s 2000 Mazda Miata MX-5 this winter. With 16 years of wear, the original top was pulling apart at the seems and the vehicle sustained some water damage after it was kept out in the rain one night, instead of the garage, where water seeped in at the weather seals over trunk. Jeff worked with the TopsOnline team to help select a new top for his bride’s Miata and decided to film the installation for his YouTube channel, DirtyShirtInfo, where he has more than 50 videos posted — most of which are video tutorials for automotive, marine and household repairs. Check out Jeff’s video for a start to finish view of the installation of an EZ ON two-piece look convertible top with heated glass (in Cabrio Textured Vinyl) for a 2000 Mazda Miata MX-5. Check to see if your cables can be re-used. Sometimes they are broken or corroded and can’t be reused. If that’s the case, don’t forget to order them with your top. Be sure you have all the tools on hand to do the job. Most convertible top installations will require a heavy duty staple gun, contact cement and a rivet gun. Prepare for your winter installation by making sure your new top is warm enough so that it can be stretched into place. Often in winter, due to the cold temperatures, the new vinyl or fabric will not be relaxed enough out of the box to immediately install. An extra pair of hands makes installation go much easier — and quicker — so enlist help when installing your new convertible top. 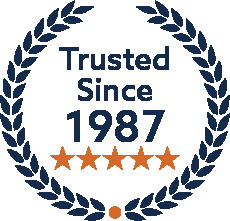 Jeff rates the skill level for installing a convertible top at an 8 out of 10 in difficulty, which we would agree with, so consider utilizing an automotive upholstery shop for the installation of your convertible top if you aren’t experienced. The TopsOnline team sends a big THANK YOU to Jeff for sharing his video with us. 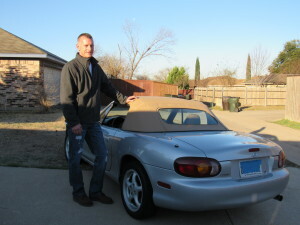 It was our pleasure to help him select the right convertible top for his vehicle and give a few tips for installation. Join the conversation and send us a picture of your new convertible top installed on your vehicle! We’d love to hear from you. And if you’re an overachiever, like Jeff, we’d love to see your installation video, too!